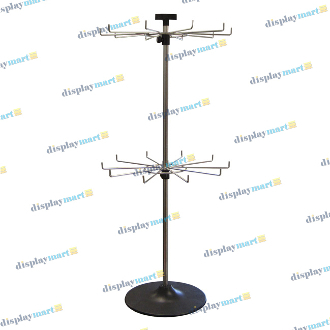 Selling accessories has never been easier with the help of the countertop spinner display found on DisplayMart.com! Standing at 41"H, this tabletop fixture has two height adjustable tiers with ten 6" long display hooks per tier. Its sturdy plastic base is designed to keep this display stable on any counter top or display table.